Did someone say brunch? Well last weekend I gathered some of my favorite people for a small brunch gathering at Laszlo Bar in the Mission. 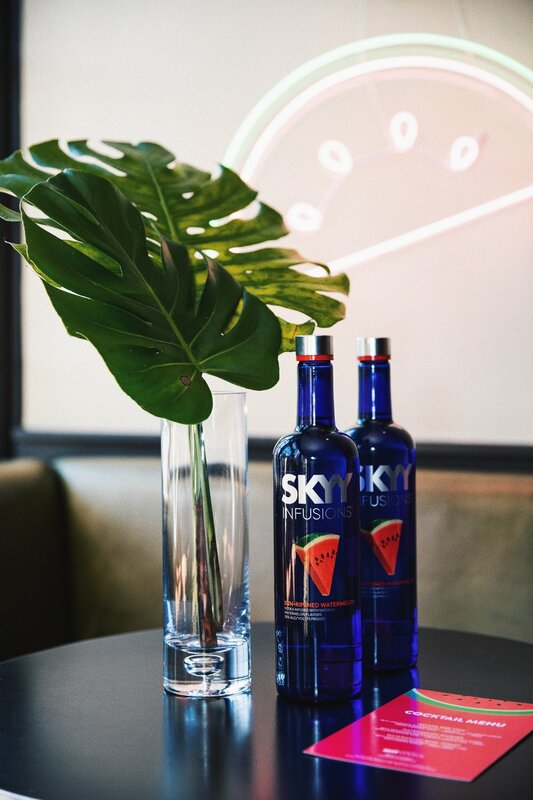 As you all know, I LIVE for brunch, and so when SKYY Vodka asked if I wanted to host a brunch, it was really a no brainer. The bigger question was when and where? I wanted the afternoon to be a bit more intimate, and so we picked a smaller venue with a perfect private second floor that looked down on the busy bar below. Laszlo is a fun and hip bar attached to the very popular (and delicious) restaurant Foreign Cinema. 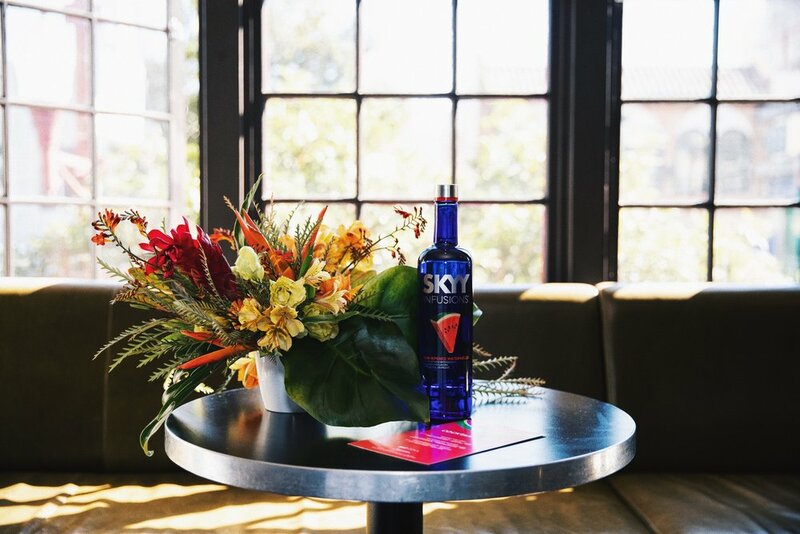 I pulled together a small guest list of friends, while the awesome people at SKYY Vodka worked with the venue to put together a super delicious brunch and cocktail menu. And wow, was everything TASTY! There was shrimp, oysters, caviar, homemade pop tarts (Yes, and they were amazing) eggs, sausage and lots and lots of bacon. In addition there was a fun DJ named DJ Babecave, and florals put together by SF’s favorite florists Ampersand. Could the event get any cooler? And the answer was YESSS, yes it could, because there was also the most amazing cocktail menu. The bartender was serving up three different drinks, and of course I had to try each one (duh). They were each soooooo good that I had to find out the recipes so you all would be able to try them out at home! You’ll all have to try each one and let me know which one was your favorite! To make the Jalapeno Syrup, create a simple syrup mixing 1/2 cup of water with a 1/2 cup of sugar in a small sauce pan. Add a chopped Jalapeno (or two if you’re feeling extra spicy) and heat over medium heat, stirring until the sugar is fully dissolved. Add all the ingredients into a cocktail shaker, and then shake with ice. 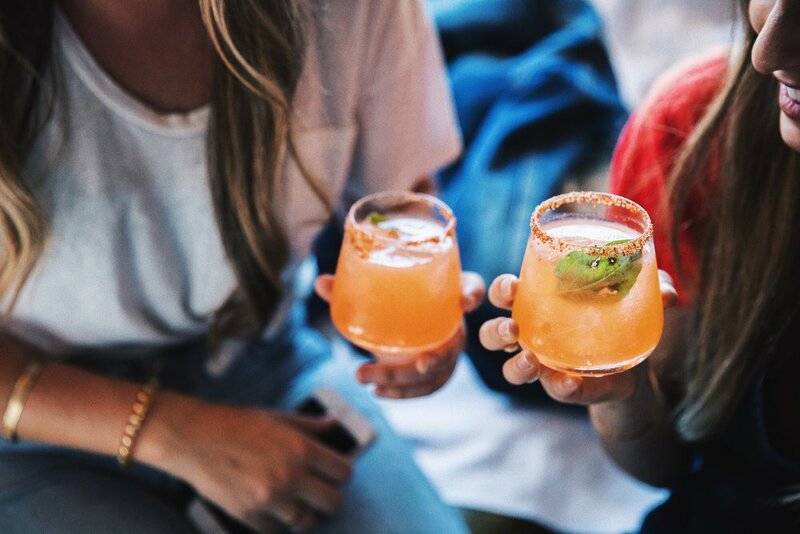 Strain into a salted rim tumbler garnished with a basil leaf. Blend all ingredients in a blender (minus the mojito mint) with ice and then pour into a tumbler garnished with a sprig of mojito mint and a watermelon wedge. MmmHmm Perfection. Place all ingredients in a shaker, and then gently muddle the basil leafs to release the flavor. Shake with ice and then strain into a coup with a basil leaf garnish. Voila! Sometimes the simplest cocktails are the tastiest. We all had a blast and it reminded me that I need to be more intentional about bringing friends together for random events without any necessary reason of occasion. 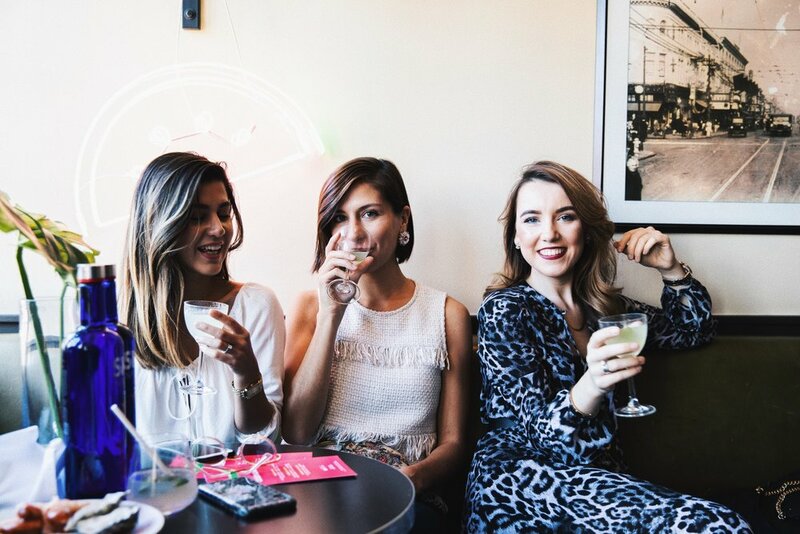 Brunch is the perfect excuse for friendships! All in all it was a great time, and I hope you all are able to try out some of those amazing cocktails. Let me know which one was your favorite! And if you need any additional cocktail recipes, make sure you check out my posts here, here and here! Thank you again for reading, and I’ll see you all at the next brunch!